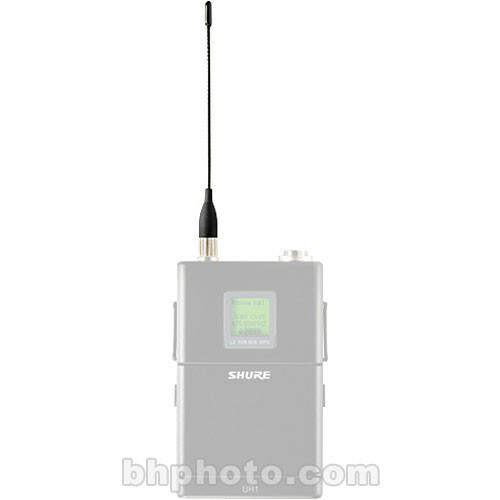 The Shure UA720 is a replacement whip antenna for the Shure UR1 UHF body-pack transmitter. Box Dimensions (LxWxH) 5.4 x 4.0 x 0.1"
UA720 Replacement Omnidirectional Whip Antenna (578 - 698MHz) is rated 5.0 out of 5 by 2. Rated 5 out of 5 by Mark K. from Does the job I dropped my PSM 900 (K1) pack right on its antenna. So that was lame, as it broke off. This was the direct replacement.